Ships today if you order in the next 11 hours 57 minutes. 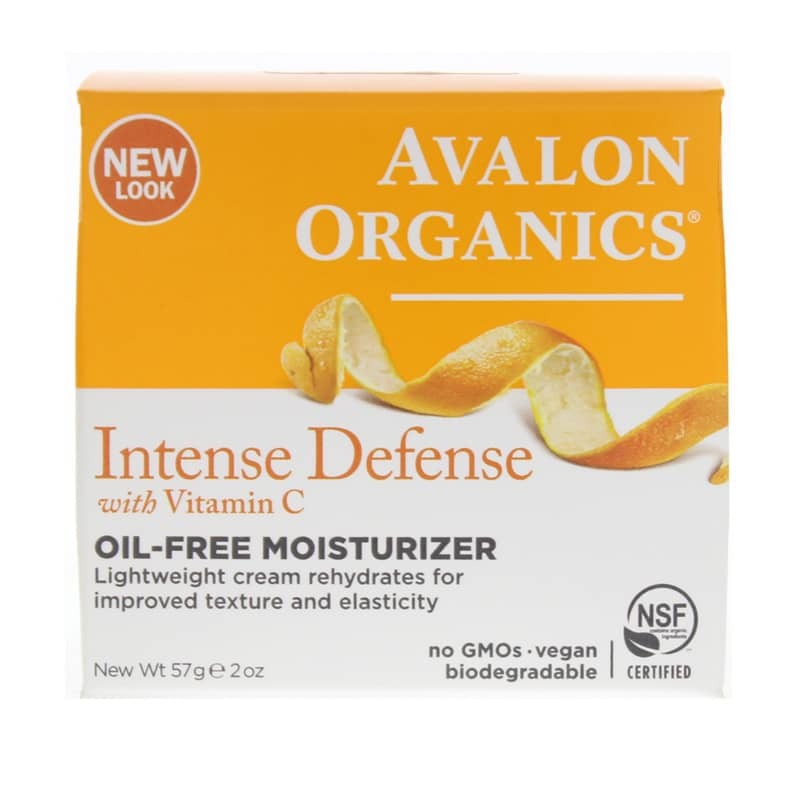 Intense Defense with Vitamin C Oil-Free Moisturizer from Avalon Organics provides daily repair and renewal for firmer, more radiant skin. This rejuvenating oil-free moisturizer with Vitamin C will energize your complexion with improved circulation, clarity, tone and texture. Daily sun-aging repair, protection and renewal for firmer, more radiant skin. Energizes your complexion with improved circulation, clarity, tone and texture. 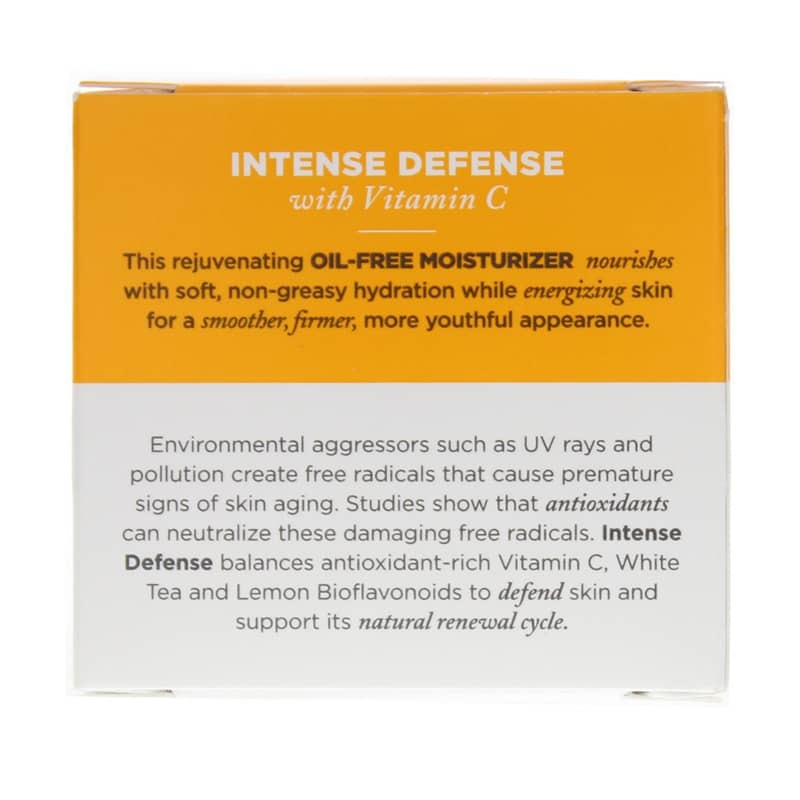 Formulated with organic Aloe and hyaluronic acid for soothing hydration plus the synergistic action of Lemon Bioflavonoids, and White Tea for the ultimate in free radical defense. 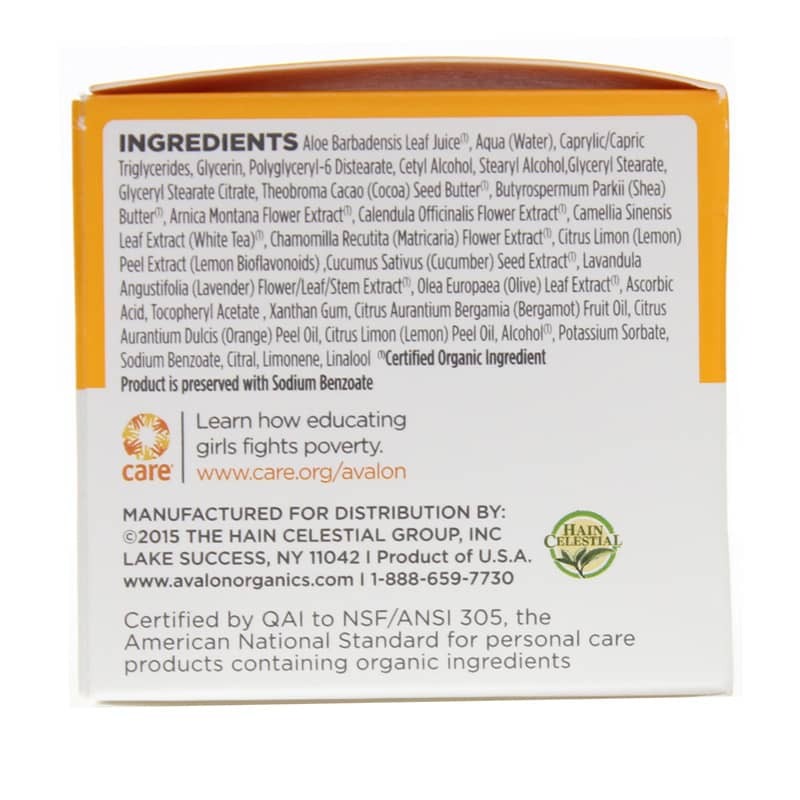 Formulated with a powerful antioxidant team - Vitamins C and E, Lemon Bioflavonoids and plus White Tea- because antioxidants perform longer and more effectively when used in combination. Scented with the refreshing aroma of organic Sweet Orange essential oil. Aloe Barbadensis Leaf Juice(1), Aqua (Water), Caprylic/Capric Triglycerides, Glycerin, Polyglyceryl-6 Distearate, Cetyl Alcohol, Stearyl Alcohol,Glyceryl Stearate, Glyceryl Stearate Citrate, Theobroma Cacao (Cocoa) Seed Butter(1), Butyrospermum Parkii (Shea) Butter(1), Arnica Montana Flower Extract(1), Calendula Officinalis Flower Extract(1), Camellia Sinensis Leaf Extract (White Tea)(1), Chamomilla Recutita (Matricaria) Flower Extract(1), Citrus Limon (Lemon) Peel Extract (Lemon Bioflavonoids), Cucumus Sativus (Cucumber) Seed Extract(1), Lavandula Angustifolia (Lavender) Flower/Leaf/Stem Extract(1), Olea Europaea (Olive) Leaf Extract(1), Ascorbic Acid, Tocopheryl Acetate , Xanthan Gum, Citrus Aurantium Bergamia (Bergamot) Fruit Oil, Citrus Aurantium Dulcis (Orange) Peel Oil, Citrus Limon (Lemon) Peel Oil, Alcohol(1), Potassium Sorbate, Sodium Benzoate, Citral, Limonene, Linalool. 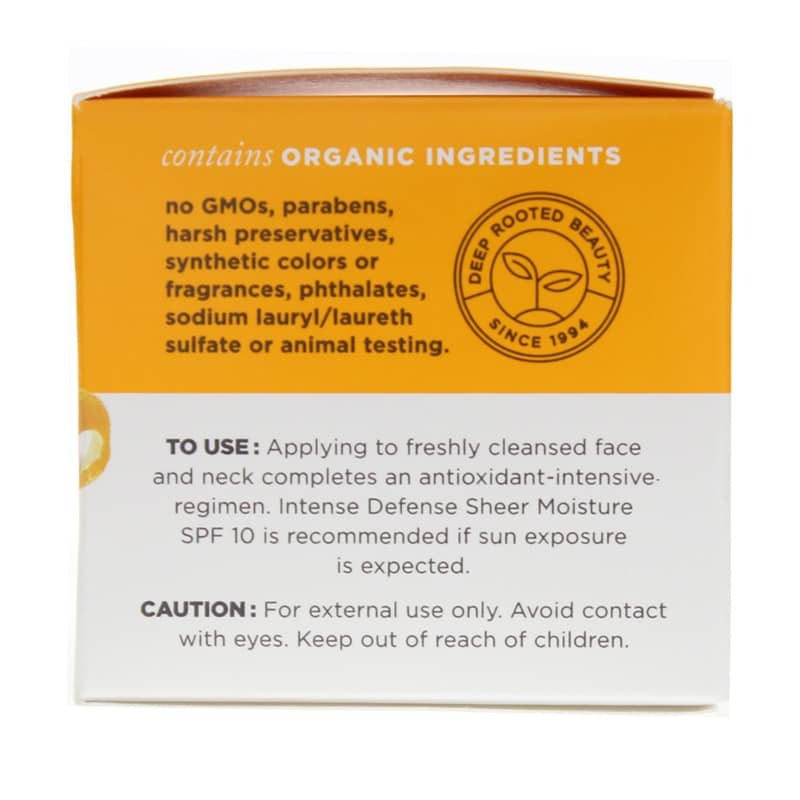 Contains NO: GMOs, parabens, harsh preservatives, synthetic colors or fragrances, phthalates, sodium lauryl/laureth sulfate or animal testing. Vegan. Cruelty-free.